This picture postcard cottage is situated on the edge of a desirable village, tucked away down a country lane, but just a stones throw from all village amenities. 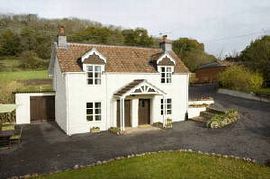 Located a short walk from a main route into Bristol with the airport just 8 miles away. Transport links are second to none. 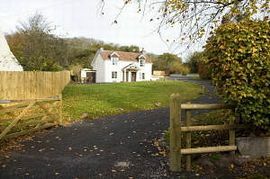 Mendip View Cottage has been thoughtfully renovated to a high standard, offering a modern and comfortable finish with much care and attention to make your stay extremely comfortable. 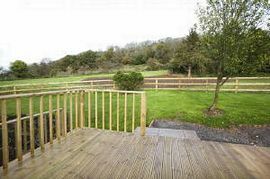 The cottage has three bedrooms; master double and twin bedroom both enjoying views over the Mendip hills, and a further single room with views over the garden and English Heritage woodland. A family bathroom with roll top bath, with shower over and WC. There is a second WC downstairs. The kitchen/diner is the heart of the property and offers the traditional cottage style kitchen, with Rangemaster cooker, dishwasher, fridge, washing machine (in utility area) wood burner, and comfy seating, making it a great social space. The cosy lounge also offers an open fire and comfortable seating, centred round the flat screen TV, with DVD and Freeview. There is a selection of games and toys for the family and a good selection of books and DVDs. The enclosed garden enjoys a Southerly aspect with its own sweeping private drive. There are lawned, decked and patio areas, with seating and BBQ. Clevedon the traditional Victorian seaside resort steeped in history is just 5 miles from your doorstep, boasting its original pier and a mile of beachfront with unique shops to suit every taste. From your doorstep there are many public footpaths and cycle tracks through beautiful countryside, including the English Heritage woodland situated right behind the cottage. This leads to the ancient Cadbury Hillfort, which boasts stunning views across the Mendips Hills. Plenty of wildlife including deer, foxes, badgers, wild birds and also some domestic ducks and chickens! If you can't resist the allure of city life, Bristol is just 13 miles, with the award winning shopping mall Cabot circus, restaurants and nightlife. Weston Super mare with its famous beachfront is only 12 miles away. 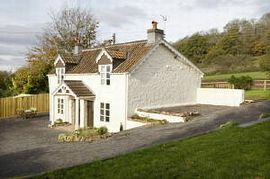 Mendip View Cottage offers ample parking. Electric, central heating, bed linen and first basket of logs/coal included. Fresh cotton sheets and duvets. Blankets also provided. Enclosed garden with seating areas and BBQ. Local Services: Welcome Baskets, Meals can be catered for. hild minding service. Turn off at Junction 21, then at roundabout take the 3rd exit onto the A370 (signposted Congresbury). Branch left, then merge onto Smallway - B3133. Pass Cadbury Garden Centre on right hand side. 100 yards up hill, turn right onto Wood Hill Park lane. Continue on down this lane. You will see Woodhill Nurseries on right hand side. Turn left opposite this. Drive up lane to arrive at cottage. Costs from £385.00 per week depending on season. 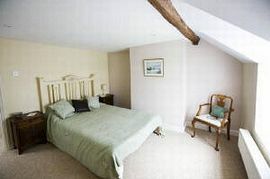 Short breaks are an option dependant on availability.